One of the reasons we love Port Dickson and keep going back is the great range of affordable hotels in Port Dickson, Malaysia. There are some great options which are easy to reach from Kuala Lumpur or the airport. We especially love that we can choose from a great luxury hotel in Port Dickson or a cheap hotel in Port Dickson – there are lots of options. If you love the beach or ocean views, you also won’t be disappointed. You can also pick a 5 star hotel in Port Dickson Malaysia with over chalets and your own private pool. In this article, we have compiled a list of the top ten hotels in Port Dickson for different tastes and budgets. You are sure to find your personal best place to stay in Port Dickson here! Topping our list in the competition for the best hotel in Port Dickson is this five star hotel in Port Dickson. If you love the idea of a private pool and/or over-water villa – you will love this option! 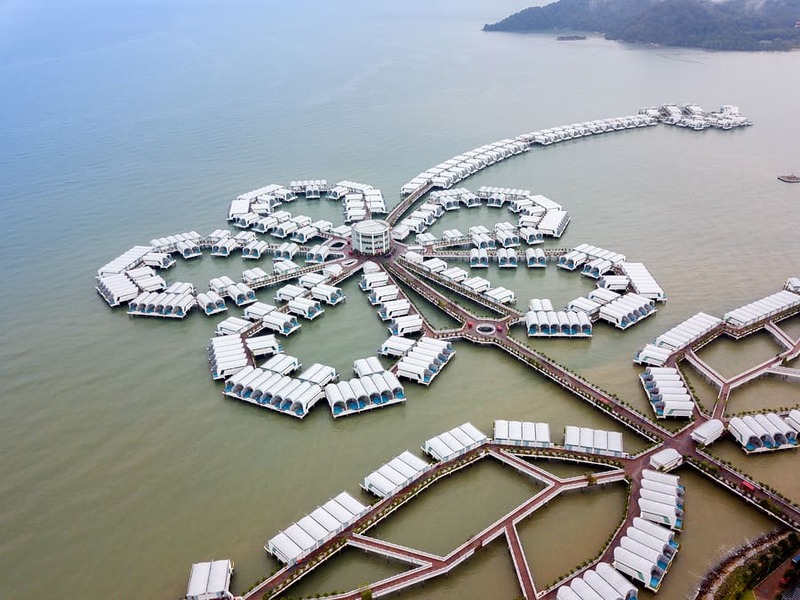 Located in the southern part of the Port Dickson area, this hotel is stunning from the way the villas are actually arranged in a hibiscus shape in the water to the surrounding location to the infinity pools you can have on your over-water villa. You are also close to some of the best beaches in Port Dickson. If you are looking for an ocean view resort Port Dickson then this has you covered as you can actually be on the ocean. This famous hotel in Port Dickson even holds a world record for having the most pools! There are a range of villa types, all are of a high standard. The resort itself also has many facilities including a pool, water park (read more about it here), many restaurants, indoor playcentre/kids club, play room, karaoke and more. If you are travelling with kids and looking for a family holiday bungalow Port Dickson, this is perfect with many room types coming with two king-sized beds and baby cots are also available. The long list of hotel facilities will also appeal to kids if you can get them out of your private pool! We absolutely love stayin here so, despite the list of strong contenders for the title, we think this is the best hotel in Port Dickson, Malaysia. Click here for the latest prices or click here to read our full review. Another of the great sea front hotel Port Dickson options is also from the Lexis chain with the Grand Lexis. This Port Dickson resort hotel option shares much in common with the Lexis Hibiscus. It also has fabulous over-water villas with their own private pools. It also makes a good family hotel Port Dickson thanks to two queen-size beds being available in rooms and a range of activities kids will love. If you don’t want an over-water villa, there are many options on land as well, including rooms with their own private pools. There are many facilities including a big communal swimming pool and a shallow pool with a water playground. There is also an indoor playground, karaoke and many outdoor activities like an inflatable maze, archery, segways and mini electric car. The resort has a few different dining options including room service which is perfect for getting maximum time and enjoyment from your private pool. It is a centrally located Port Dickson Malaysia resort being just a few kilometers from the centre and there are some eating options around the hotel if you tire of the hotel’s restaurants. This is a great hotel in Port Dickson with swimming pool option. Click here for the latest prices or you can read our full review here. 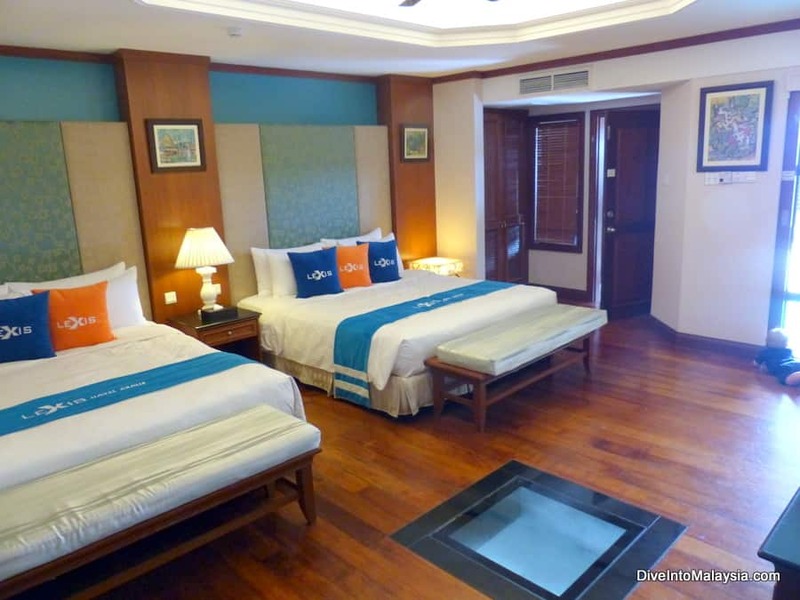 If you are looking for a 4 star hotel in Port Dickson which has private beach access and is also a Port Dickson budget resort option then D’Wharf Hotel & Serviced Residence could be exactly what you are looking for! Located very centrally in Port Dickson, this hotel is just 160 metres from Waterfront City and close to Regina Mall. There are many room types from more basic hotel style rooms to studio suites and options for families. The rooms are all air conditioned with balconies, private bathrooms, tea and coffee making facilities and the standard features you would expect from a nice hotel in Port Dickson. Many come with sea views and all are of a good standard. 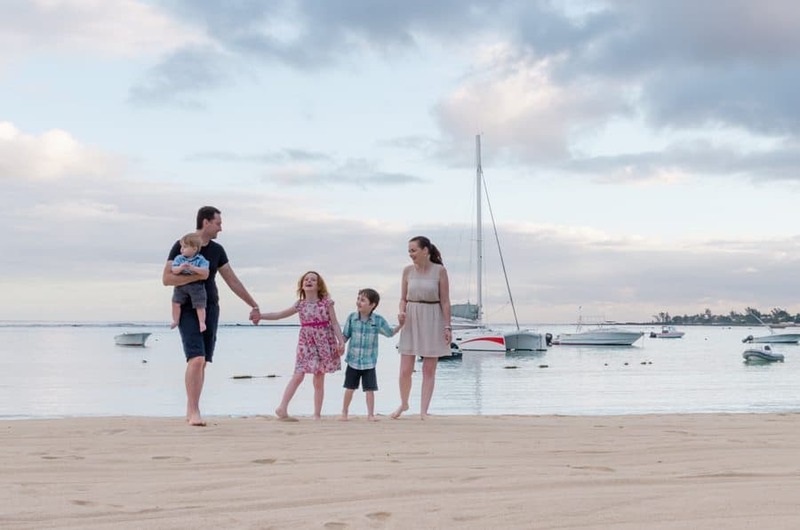 D’Wharf Hotel is particularly a good choice if you have a large family or big groups with suites catering up to 8 people. It is also a great choice if you want a hotel apartment Port Dickson with the larger suites being apartment style. Facilities at the D’Wharf Hotel include a great pool, playground and fitness centre. One of the best things about this Port Dickson Hotel review is that this resort only opened in 2018 so everything is in great condition making it quite a bargain for the price. There are more facilities being added as well. The Avillion is one of our favourite of the hotel and resort in Port Dickson options. In fact, it would be our favourite if it had private pools available. Located on the Saujana Beach, this is a great option for beach lovers or people who want more action around their resort as there is also a night market here. There are both over-water villas and rooms on land, although we highly recommend an over-water villa. They are beautiful with sea views. One of the things I especially like about these villas are the big day beds by windows so you can enjoy your location. There are many facilities here including multiple pools (one is adults-only), a water slide, easy beach access, an indoor play area and multiple restaurants. Something unique that we loved about this Port Dickson accommodation option is that it also has its own petting zoo which our kids loved. This is a highly recommended hotel in Port Dickson especially if you want an over-water villa with many resort facilities and surrounding options. It’s definitely a top contender for the best family hotel in Port Dickson. The little brother of the three Lexis hotels in Port Dickson, this Lexis is a cheaper choice but still a good one especially if you want a lower-priced, over-water bungalow Port Dickson. Located next door to the Grand Lexis, this Lexis has a big pool and a huge range of facilities as well with a kids’ pool, fitness centre, sauna, spa, restaurants, business centre and karaoke room. There are also some fun activities with things like an inflatable maze, sumo suits and segways. There is a variety of room types including the over-water chalets. All rooms come with standard facilities like minibar and air conditioning. Rooms are generally spacious and well presented but starting to show their age. 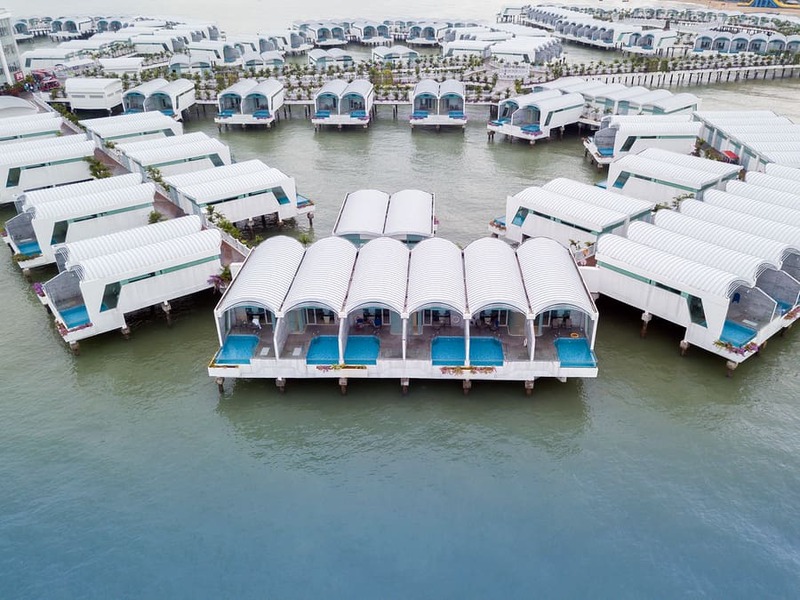 This resort is a good choice if you are looking for a cheaper, over-water chalet in a modern hotel with many facilities. The Lexis is also known for its great service and friendly staff. The Thistle Port Dickson finishes off our Port Dickson 5 star hotel list along with the Lexis hotels and Avillion. The Thistle is located by a private beach, a couple of kilometres from the Ostrich Farm and close to popular Teluk Kemang. It has a wide range of great facilities starting with a massive, free-form pool which is perfect for a dip or for hanging out. Between this and the playground, lego room and kids club, this is another great choice for families. There are three restaurants offering a variety of cuisines and two bars. There’s even a nightclub. If you are feeling active, there is a gym, golf course, bikes to hire and you can organise water sports. Afterwards, you can relax at the spa. There are many room types including family rooms that we love that are complete with bunk beds. You can pay extra to be sea front. Many rooms have day beds by the windows too – very good for daytime relaxing! For a special treat, there are some luxury suites. This hotel is perfect for people looking for a 5-star hotel with tons of facilities so you never have to leave who want beach access and aren’t interested in over-water chalets. The Hotel Mirage is a good choice of a Port Dickson cheap resort. It is located between Cahaya Negeri Beach and Teluk Kemang and there is a 7-Eleven and restaurant right there. It’s also very close to the Port Dickson Army Museum and the golf course. There are many rooms including triple, quadruple and family rooms. It’s a simple, but clean hotel with everything you need. If you like table tennis, there are a few tables to play. The Klana Beach Resort is a great choice for those looking for a Port Dickson resort for family. Located on a coastal road just five minutes walk from the popular Teluk Kemang beach and an even faster walk to Pantai Purnama, this is also a good choice if you are looking for a Port Dickson holiday bungalow with easy beach access and don’t mind if the beach isn’t right at the hotel. There are a variety of room types including family rooms and two and three bedroom apartments so this is perfect if you are looking for the best apartment in Port Dickson. The rooms all come with TV, minibar and tea and coffee making facilities. Rooms are a good price considering the location and facilities but you are charged extra for towels! There are three pools including one with a water slide for kids and a ladies-only pool. There is a restaurant. Note that alcohol is not available or allowed at the property. An extra benefit of this Port Dickson resort review is that the Klana has its own observatory. You can view the skies both during the afternoon and evening with help available so you can see some cool things. This facility really makes the Klana a great place to stay. The Waterfront Boutique Hotel Port Dickson is a solid pick. If you are looking for a sea view hotel Port Dickson, this is a good choice being located seafront and with rooms with views. It’s also very centrally located, being in Port Dickson town and within minutes walk of many eating options. There are a variety of room types including triple rooms. They are all a good standard and all air-conditioned with TV, electric kettle and ensuite bathrooms with hair dryers. There is good, free wifi. There are not many facilities so the Waterfront Boutique Hotel is best for people who want a good room with a sea view in a central spot. 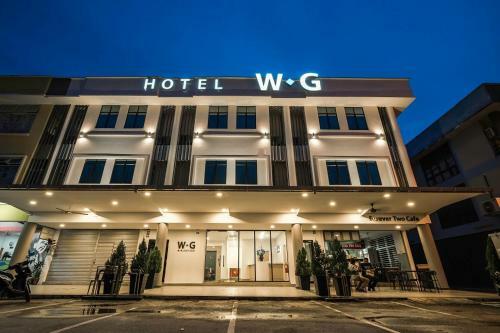 WG Hotel is the perfect choice if you are looking for a well-located, budget 3 star hotel in Port Dickson and don’t mind if you are not near the beach. This good hotel in Port Dickson gets great reviews with options of single, queen, twin and family rooms with two large double beds. All rooms have a TV with satellite channels and ensuite bathrooms. It’s located close to some of Port Dickson’s attractions including being just 40 metres from the Alive 3D Art Gallery and a few hundred metres from the Wild West Cowboy Indoor Theme Park. There are also many restaurants and a hypermarket nearby. The hotel is on the simple side but if you are after great value in a handy spot, this hotel around Port Dickson could be perfect for you. What is your top choice for where to stay in Port Dickson? 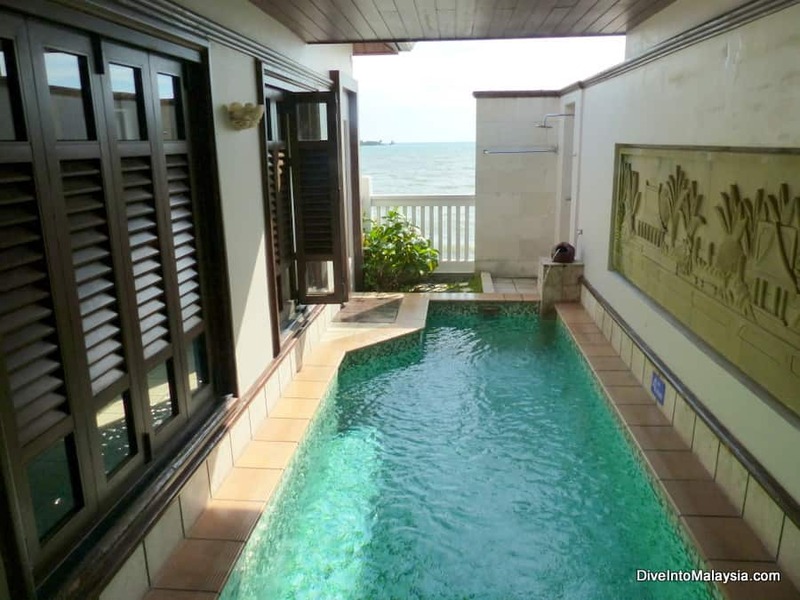 You can also find more information about Port Dickson resorts with private pool here, the best resorts near a beach here, Port Dickson homestays here or read our full Port Dickson guide here.